Economists have long known how to solve the problem of illegal immigration into the US. Our principals have been aware of the solution for more than twenty-five years. Mexican and Central American migrants come to the US principally to earn higher wages. The US government attempts to prevent this, ostensibly to protect US society. The result is a classic black market, in which the US government is expending vast resources in keeping migrant labor from contracting with US employers. Black markets, typically associated with bans on alcohol and drugs, tend to exhibit similar sort of pathologies. First, prohibitions are rarely successful over the long run. 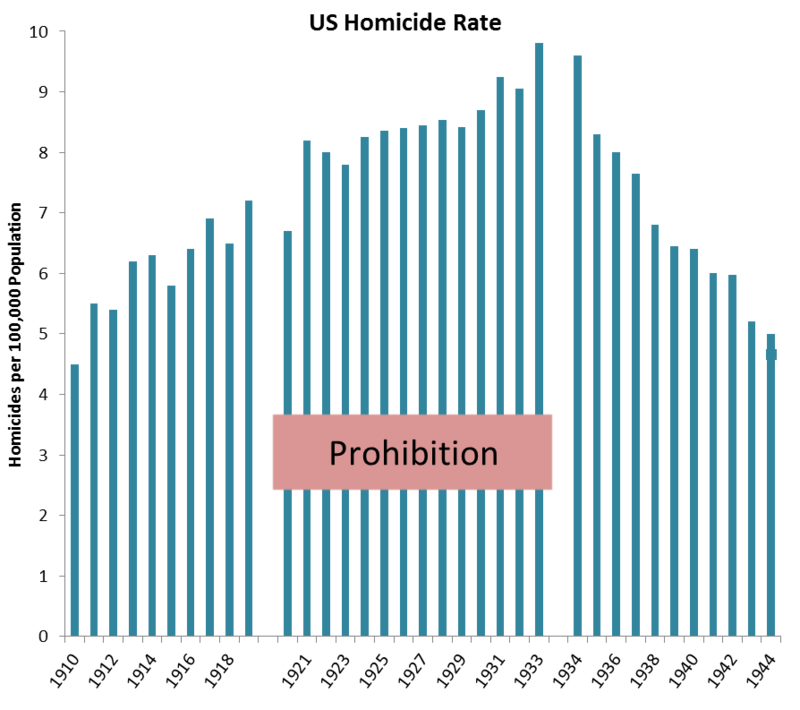 For example, the US prohibition on alcohol was initially successful, with per capita consumption falling by 85% upon passage of the 18th Amendment in 1920. Within two years, however, a black market had emerged and consumption rebounded to levels only 16% below pre-Prohibition volumes. Prohibition worked, but not that much. The same is true, for example, of heroin, the price of which is near record lows in the US and cheaper for a bag (a dose) than a pack of cigarettes, despite a 'war on drugs' lasting now more than fifty years. First, trying to ban a good or service for which there is demand is virtually impossible. Tougher enforcement, including building a Wall, is likely to reduce flows for a while. However, the more enforcement succeeds, the higher wages will go, and the greater the incentive to evade the ban. In California, for example, tougher border enforcement has raised farm wages to $16 / hour, up perhaps $5 / hour over earlier times. For migrants, this extra income can be used to pay for more elaborate border crossings. Indeed, every $1 / hour translates into an additional $6,000 a migrant might spend to enter the US. With a $5 / hour wage differential, a migrant farm worker could rent a private jet to fly him to the US. Indeed, border arrests in 2018 were the highest since at least 2009. The black market has adapted to the Trump Presidency, just as we predicted back in October 2017. Second, enforcement requires ceaseless diligence. Even in the case of mortally dangerous drugs like heroin, the will seems to be lacking. Many Americans do not see undocumented migrants as villians, but rather as people hoping -- and willing to work for -- a better life in America. It is hardly the resolve of perpetual exclusion--which will surely weaken under the next administration. Black markets are not only difficult to suppress, but bring stunning levels of criminality with them. During Prohibition, the US homicide rate soared from about 6 per 100,000 inhabitants, to nearly 10. When Prohibition was repealed in 1933, the homicide rate began to fall rapidly, and returned to pre-Prohibition rates within a decade. Prohibition's elevated rate of criminality was a prinicipal reason public opinion turned against the law. The public changed its view because citizens could see the damage in their own communities. In this, illegal immigration is vastly worse than Prohibition. In black markets, predation and deadweight losses occur principally on the supply, not demand, side. Gangs engage in violence to maintain their access to customers willing to pay well above market rates. It comes down to fighting for market share, and in a black market, the fights will be with knives and guns. This is no less true with illegal immigration. However, because the US border itself is the object of the black market -- because it literally separates the sellers from the buyers -- the violence occurs principally among the vendors, on the Mexican side of the border, to Mexicans and Central Americans. The consequences are disastrous for public policy, because US voters neither see nor experience the worst of the horrific side-effects of US immigration policy. The violence and predation has been outsourced to Mexico, mitigating the political pressure within the US to change immigraton law. As damaging as US immigration law is to migrants and Mexico's civil society, there is no commensurate pressure in the US to change the system. Having said that, the lessons of Prohibition tell us that a fix would be relatively easy. A transition to a market-based system would dramatically reduce the violence and predation in a very few years.